Christ, in the garden, we adore Thee! Subscribe via email to keep up to date on liturgical ceremonies in Rome and the progress of Filii Passionis. Photo by my dear friend, Agnese, you may know her as the “Roman Pilgrim,” visiting the station churches each day of Lent! 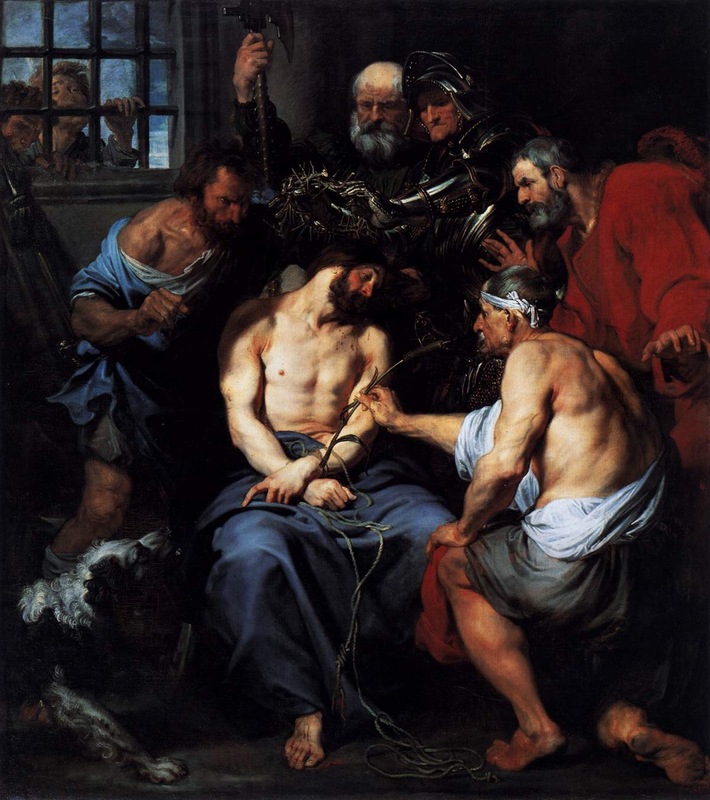 The Romans used various kinds of scourges. There was the stick (fustis), the rod (virga), and the whip (lorum) which was of leather-platted throngs and into the plats were woven iron spikes (scorpio) or knuckle bones of animals. 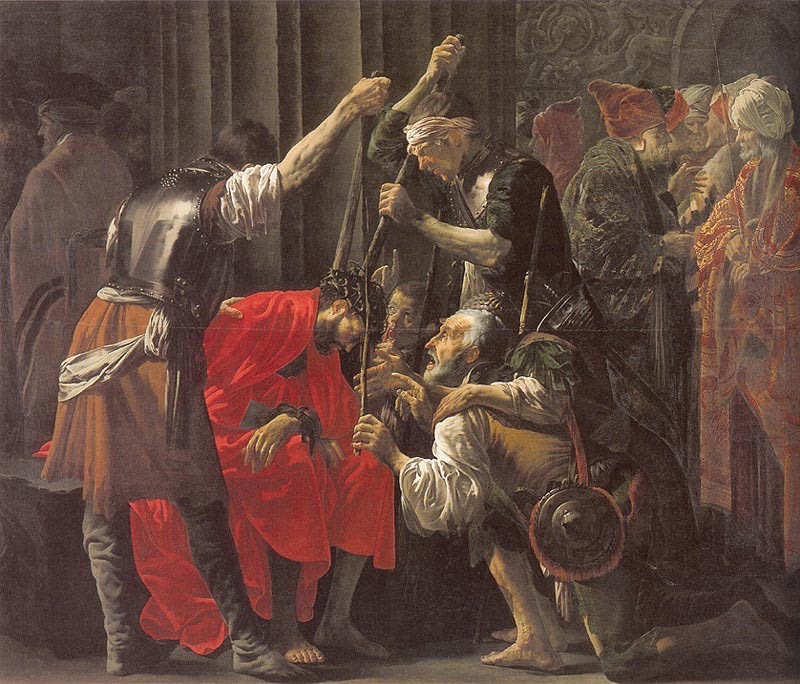 Tradition has it that the latter was used by the soldiers to scourge Christ. 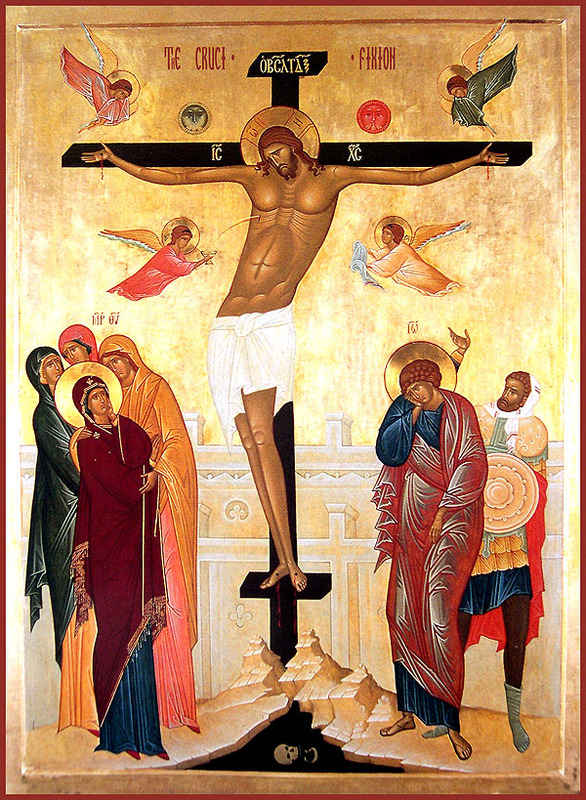 Behold your Savior bound to a low pillar with the six scourgers standing on a raised platform beside and above Him, and watch them, if you can, laying those cruel lashes on the bent back of our Lord! 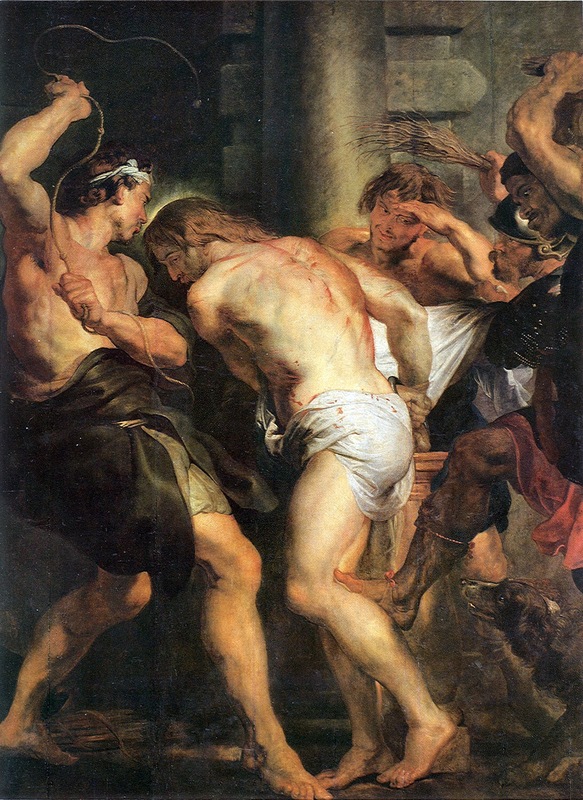 Let us go to His side and gaze into the pure eyes of Christ as He suffers in the scourging and acknowledge that it was our sins – yours and mine – that caused Him to endure such agony, and promise Him from this day on we shall never deliberately offend Him again. There is another consideration I would have you ponder over in your mind. It concerns the reed placed in our Lord’s hand during the crowning with thorns as a mock gesture of a king’s scepter. Is it not worthy of note that the lowly reed should play such an important part in our Lord’s life? He began His public life by going to Cana of Galilee, to begin as it were the reconstruction and redemption of mankind with a man and his wife – since it was a man and his wife who had opened the sluice gates of sin and flooded this world with woe. And now at the end of His public life the reed appears again and is placed in His hands in mockery of His royalty, and finally, it becomes an instrument of torture in itself – since the soldiers beat His thorn-crowned head with this same reed. 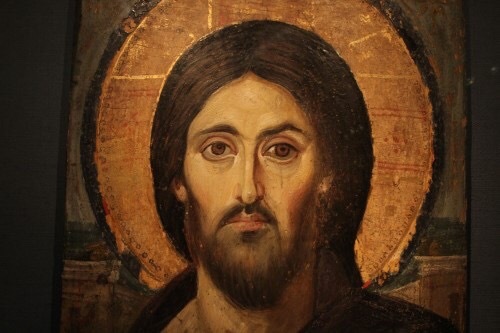 I have always thought that the special sufferings inflicted on our Lord by the blows from the reed were in reparation for the mockery men and women make of marriage and the sins, such as divorce, abortion, desertion, and birth control committed by persons disdainful of God’s laws. Married persons will beg for the grace to fulfill the duty of their state and the unmarried will beg special graces for those to whom God has entrusted such awful responsibilities. The Passion of Christ is by itself sufficient to form us in every virtue. For whoever wishes to live perfectly, need do no more than scorn what Christ scorned on the cross, and desire what He there desired. There is no virtue of which, from the cross, Christ does not give us an example. If you seek an example of charity, Greater love than this no man hath, than that a man lay down His life for his friends (John 15: 13), and this Christ did on the cross. And since it was for us that He gave his life, it should not be burdensome to bear for Him whatever evils come our way. What shall I render to the Lord, for all the things that He hath rendered to me (Ps. 115: 12). If you seek an example of patience, in the cross you find the best of all. Great patience shows itself in two ways. Either when a man suffers great evils patiently, or when he suffers what he could avoid and forbears to avoid. Now Christ on the cross suffered great evils. O all ye that pass by the way, attend and see, if there be any sorrow like to my sorrow (Lam. 1: 12). And He suffered them patiently, for, when he suffered he threatened not (1 Pet. 2: 23) but led as a sheep to the slaughter, he was dumb as a lamb before his shearer (Isaias 53: 7). Also it was in His power to avoid the suffering and He did not avoid it. 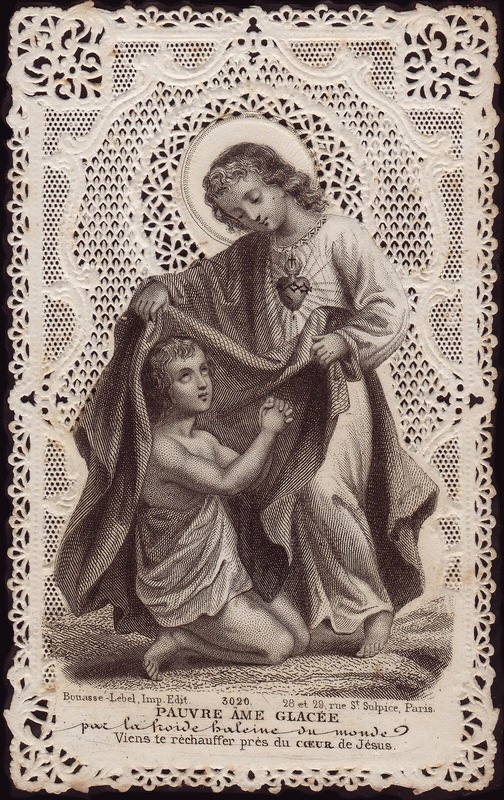 Thinkest thou that I cannot ask my Father, and he will give me presently more than twelve legions of angels? (Matt. 26: 53) The patience of Christ, then, on the cross was the greatest patience ever shown. Let us run by patience to the fight proposed to us: looking on Jesus, the author and finisher of faith, who having joy set before Him, endured the cross, despising the shame (Heb. 12: 1-2). If you seek an example of humility, look at the Crucified. 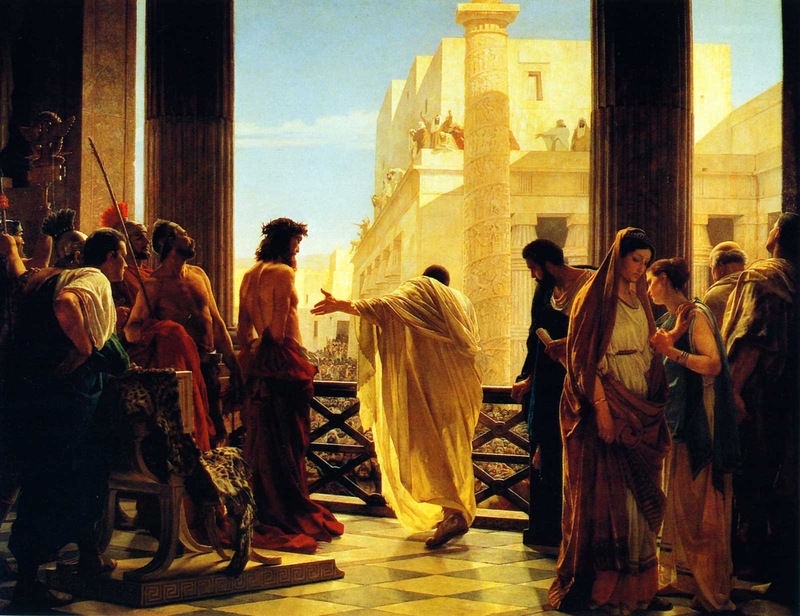 For it is God Who wills to be judged and to die at the will of Pontius Pilate. Thy cause hath been judged as that of the wicked (Job 36: 17). Truly as that of the wicked, for Let us condemn him to a most shameful death (Wis. 2:20). The Lord willed to die for the slave, the life of the angels for man. If you seek an example of obedience, follow Him who became obedient unto death (Phil. 2: 8), for as by the disobedience of one man, many were made sinners; so also by the obedience of one, many shall be made just (Rom. 5: 19). If you seek an example in the scorning of the things of this world, follow Him who is the King of kings, and the Lord of lords, in Whom are all the treasures of wisdom. Lo! 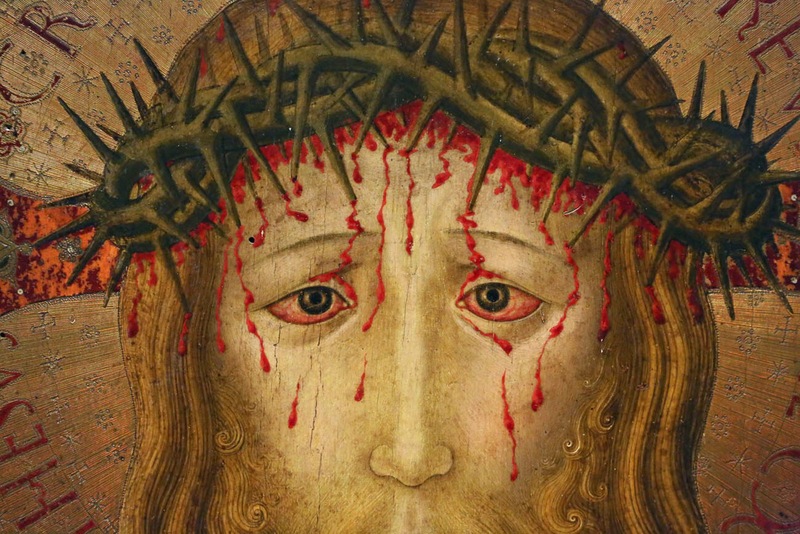 on the cross He hangs naked, fooled, spit upon, beaten, crowned with thorns, sated with gall and vinegar, and dead. My garments they parted among them; and upon my vesture they cast lots (Ps. 21: 19). Error to crave for honours, for He was exposed to blows and to mockery. Error to seek titles and decorations for platting a crown of thorns, they put it upon His head, and a reed in his right hand. 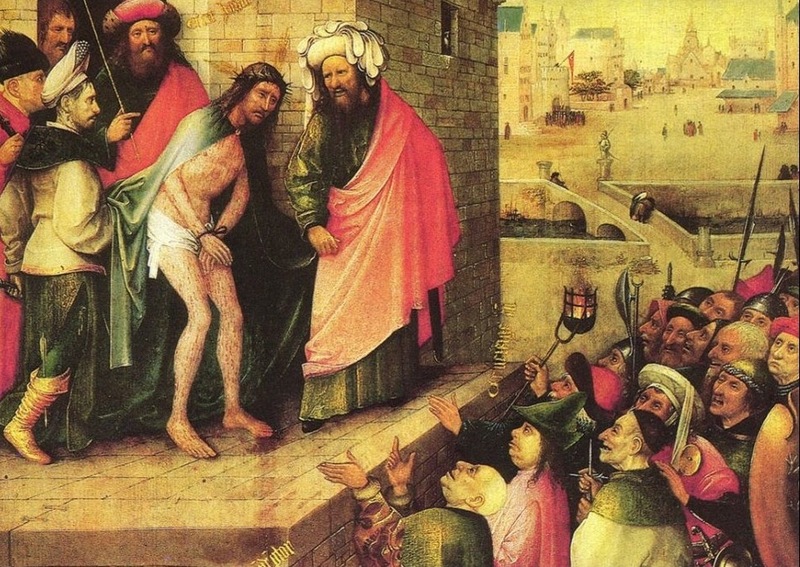 And bowing the knee before him, they mocked him, saying Hail, king of the Jews (Matt. 27: 29). Error to cling to pleasures and comfort for they gave my gall for my food, and in my thirst they gave me vinegar to drink (Ps. 68: 22).